not bad. Definitely picking up on the molasses. I don't love that flavor. But it was nice to see that I am pulling the shot correctly, since this description is exactly what I am getting. Enjoyed this as a daily wake up. I felt that it was too bitter for me to really really enjoy. It was just OK. Definitely tasted medium and not dark. I didn't find it to be particularly full bodied either. Very average to me. Tasty, but not a medium-dark to me (as it's rated). Tastes very much like Costa Rican (is it)? I'd prefer something even more full-bodied, earthier and darker. Too much bite at the end. - I agree with "Roasty" & "Molasses", but feel it is a bit more medium-bodied than full bodied. - Depth/Color is well within the range I like, but on the lighter side of that range. - I'm into the molasses, chocolate, caramel, wish there was even more. - I'm good with the bitterness, and could even enjoy more (depending on circumstances). Could possibly enjoy more acidity too, especially if either was in exchange for more depth of flavor. - I only mention the above as a guide to the curator, not as a criticism; I really like this coffee! It was a little too roasty, almost tasted slightly burnt. This coffee was tasty. 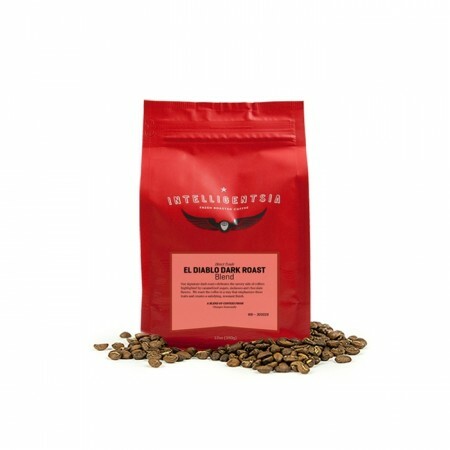 It has a roasty note, but it's definitely leans towards a medium roast taste. It has kind of a bright note at the finish, which I do not prefer. In the future, I am looking for a full-bodied, more chocolate-y, dark roast. Wow. Creamy and full mouthfeel with a very subtle but lingering finish. This is one of my favorites after one cup!